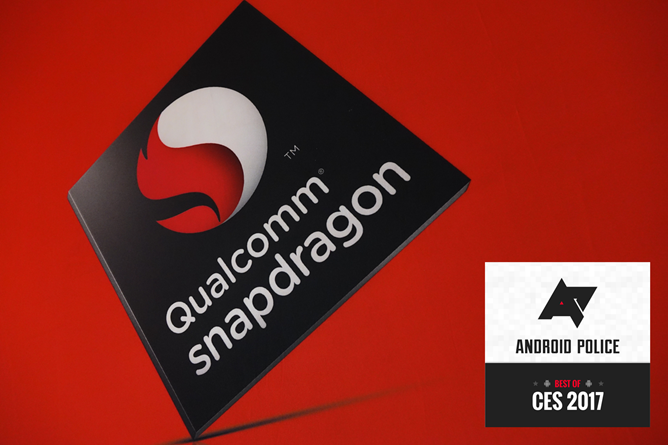 Qualcomm's Snapdragon 835 was announced back in November last year, but it was at CES that it received a proper unveiling. Qualcomm had impressive virtual reality demonstrations utilizing its newest flagship chipset, and while no partners announced 835 devices at the show, the chip in and of itself is still a substantial technical achievement. It will be the first major CPU to go into mass production on the 10nm process, and it has seen all-around performance and efficiency improvements as a result. You'll certainly see a lot of the Snapdragon 835 throughout 2017, and the fact that that's such a given goes to show just how dominant Qualcomm remains in the mobile SoC business. As such, the Snapdragon 835 was an easy pick for us, and it's one you know to all but a certainty will appear in real-world products. 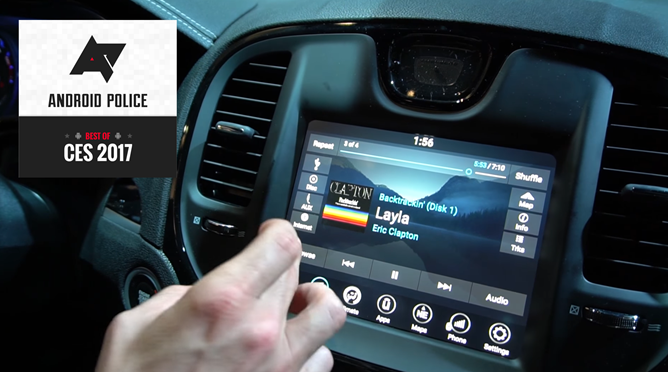 While merely a concept operating system, the joint venture between Chrysler and Google to develop a true, Google-certified Android car operating system is hugely promising. Google Assistant is baked right into the vehicle OS, along with a number of key Google applications. This is what Android Auto really should have been from day one, and the possibilities of such a deeply integrated Android experience in the car border on endless. Whether Google and Chrysler will pursue the concept in production form remains to be seen, but I left thoroughly impressed by this prototype software - even if Chrysler wasn't too keen on showing it to us in great detail. 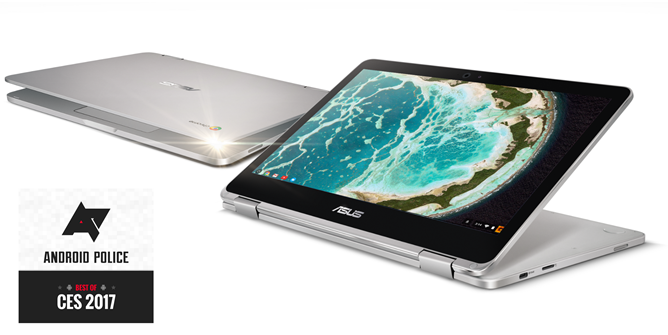 We love the Chromebook Flip here at Android Police, and the moment ASUS dropped the curtain on the newest incarnation of the Flip series, it was love all over again. While significantly more pricey than its predecessors, the new Flip does a lot to justify the price point. You get a full HD 12.5" display, Intel m3 or m7 processor, 802.11ac Wi-Fi, backlit keyboard, 4 or 8GB of RAM, two USB-C ports, and a fully reversible touch-enabled design. At $499 for the entry-level 4GB model, this is an appealing buy already, and I bet ASUS knows that. 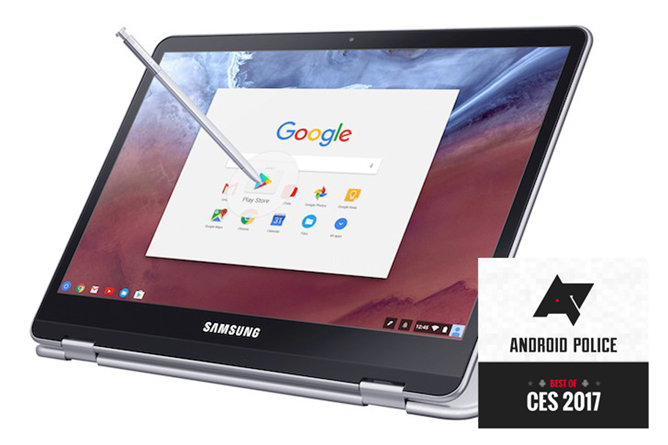 Of all the companies we expected to unveil some cutting-edge Chromebooks this year, I can't say Samsung was one on my radar, but they stopped the show with the new stylus-enabled Chromebook Plus and Pro models at CES - and they definitely give the new ASUS Chromebook Flip a run for its money. The cheaper Plus starts at $449 (no pricing for the Pro has been revealed), offering 4GB of RAM, 32GB of storage, a 12.3" 2400x1600 touchscreen that is fully convertible, as well as a don't-call-it-an-S-Pen. The Plus runs a new OP1 ARM hexacore processor made especially for Chromebooks, while the Pro will offer an Intel Core m3. With the processors being the only real difference, we don't expect a major price gap between the two regardless. These are some good-looking laptops, and should be highly competitive in the Chromebook space this year. The ZenFone AR is the first smartphone to combine Google's Daydream VR and Tango AR into a single smartphone, and that's certainly something, but it's the Tango side that's probably most interesting here. 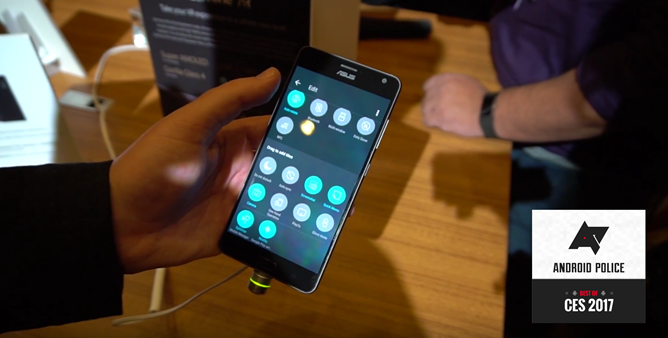 Where the Lenovo Phab 2 Pro failed - at being a good phone - the ZenFone AR seems far more likely to succeed. The ZenFone AR feels like a regular high-end smartphone, not some chunky, heavy, unwieldy piece of concept technology. Aside from the slightly bulgy camera array out back, you'd struggle to tell it was a Tango phone at all. For the AR and VR-obsessed, the ZenFone AR is at the bleeding edge of the smartphone field, and while certainly not for everybody (or even most people), we commend ASUS for showing the technological initiative to make this phone happen. I know, I know - the Mate 9 was released last year. But CES is a very America-centric technology show, and this was the moment Huawei decided to announce the Mate 9 for the US. Given we haven't even reviewed the Mate 9 yet, we're coming at this phone with relatively fresh eyes, especially post-Note7, and as Huawei's first flagship effort in the states, we think it worth some recognition. $600 buys you a lot of smartphone with the Mate 9 - literally and figuratively - and it's a phone that has received accolades from across the web since its global launch last year. At a trade show that is increasingly smartphone-deficient, the Mate 9 managed to steal away a fair bit of attention despite being a "what's old is new again" sort of moment. We're certainly eager to try it out. 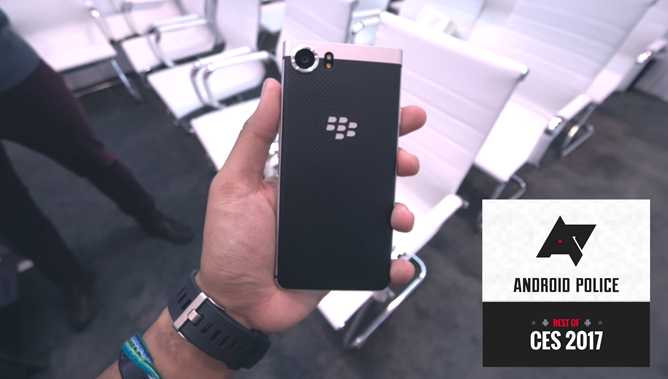 The BlackBerry Mercury, technically a concept phone (but TCL says the hardware is final), is probably the most interesting thing to carry the BlackBerry name in years. 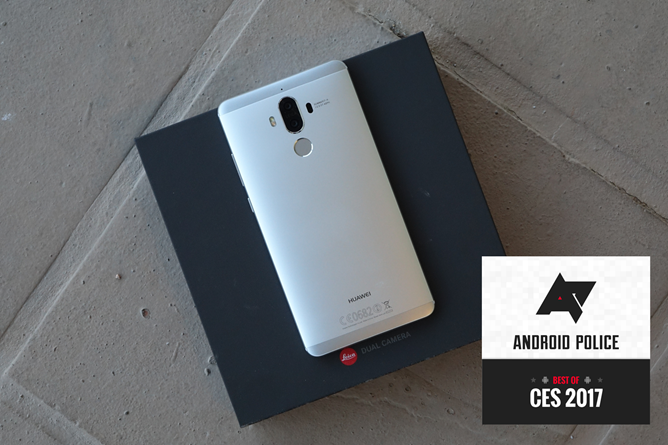 While the candybar QWERTY form-factor is definitely in a niche, it's a niche that does still exist, and allows the now TCL-run brand to try and catapult itself back into relevance on the global smartphone stage. Combining TCL's manufacturing and design expertise with BlackBerry's relatively stock Android and commitment to security, it's not hard to see why many people are hopeful about the future of the beleaguered brand. The Mercury looks like a solid piece of hardware, offers an Android experience that is largely un-messed with, and clearly has a unique place in the market. When the official launch happens at MWC, you can bet a lot of people will be watching BlackBerry more closely than they probably have in years. 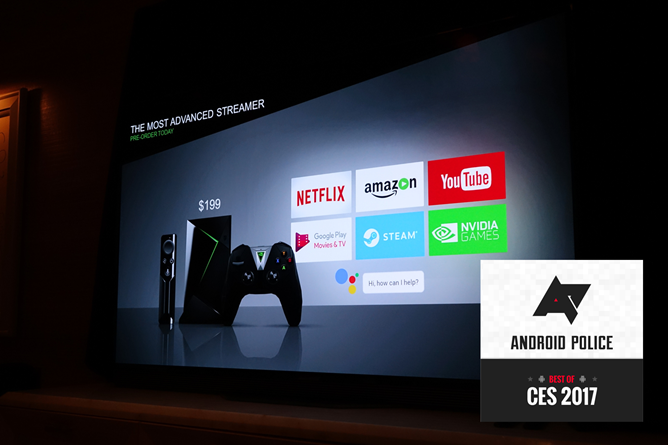 Let's be real: There's only one best Android TV, and that's the SHIELD. For 2017, it's getting better - and smaller. A new gamepad design and a shrunk-down box are the only real physical changes for the new year, and while the new SHIELD packs a host of software changes and new features, good guy NVIDIA is bringing all of them to the existing SHIELD console. What's not to love? The new SHIELD gamepad, by the way, is a marked improvement on its predecessor. It offers always-on listening for Google Assistant voice interaction, a much more ergonomic design, and does away with the useless trackpad. Battery life is better, and the design is certainly interesting. 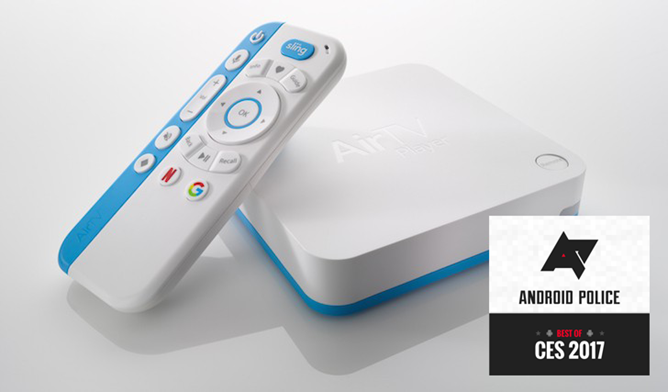 Dish's AirTV combines Android TV with something we haven't seen yet: over-the-air television. While not popular in all areas of the world, I can tell you that OTA channels are still very much a thing in the US, and a great way to augment your content selection if you're a cord-cutter. Especially if you're trying to watch primetime TV the night something airs. The OTA channel capabilities do require extra investment in an adapter and antenna, with the former running you $30. Still, with the box costing just $99 up front, this still feels like a good deal. And as to the remote? I like it. A streaming box should have a simplified remote - this one feels like a good compromise between functionality and navigability. 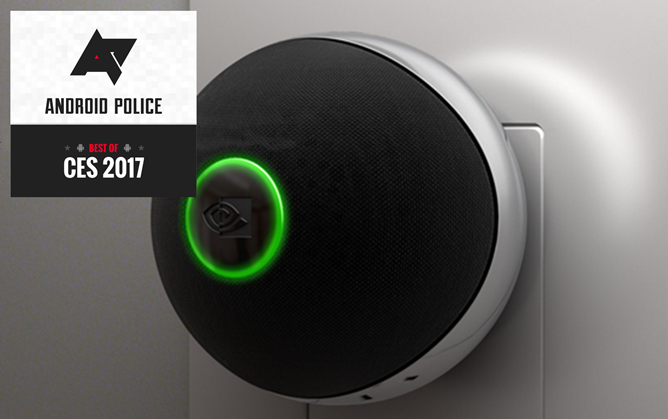 The NVIDIA Spot is basically a tiny Google Home you plug into any power outlet in your home. It communicates via your SHIELD console device, so there is that hardware requirement, but given how great the SHIELD is we'd hardly call that a hurdle. Spots will be something you can place throughout your house, and at $50 apiece, you could blanket the major areas of a small home for far less than it'd cost you to do the same with full-size Google Homes. Frankly, Spot is exactly the kind of Google Home companion product I've been waiting for, and I know we can't wait to hear more about what this awesome little Google Home-on-the-wall can do when it's released later this year. FLIR is the first name in infrared imaging, and its ONE and ONE Pro cameras are the first name in mobile infrared imaging. Utilizing advanced thermal sensors, the ONE and ONE Pro can see your environment based on heat. 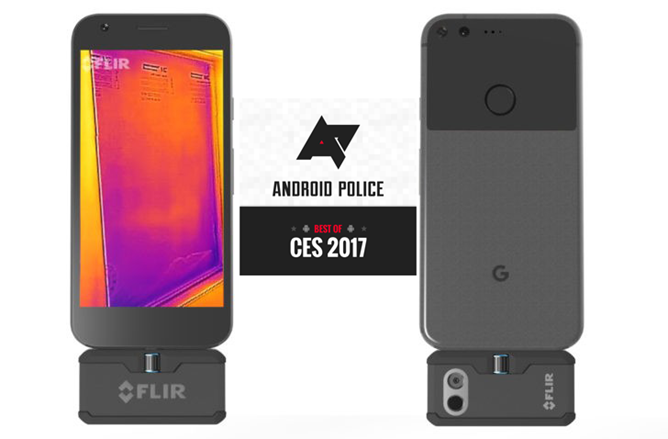 Both new devices use USB-C to connect, greatly easing compatibility restrictions, and the standard ONE has seen a price drop to $199 - making it the cheapest thermal imaging product FLIR has ever sold. The ONE Pro is for those who really use these gadgets as tools - allowing multi-point temperature measurement, substantially enhanced image output processing for more precise thermal visualization, as well as an upgraded sensor to take advantage of these more advanced capabilities. That one costs $400, but for the pro who might find this tool indispensable, it could be a no-brainer. Not to mention that seeing things in Predator-vision is just freaking cool. 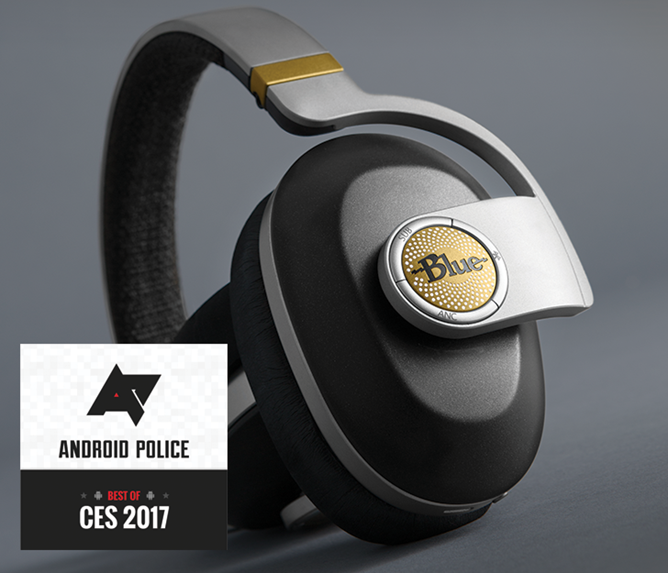 Blue's Satellite wireless headphones may be the prettiest headphones I've ever laid eyes on. Well, at least the prettiest press images. I love Blue's wired headphone offerings for their sound quality and comfort, but the styling always felt a bit off to me. The Satellites, though, are jaw-droppingly gorgeous. They use Bluetooth 4.1 for audio and offer apt-X connectivity if your phone supports it. They also feature dedicated active noise-cancellation drivers, which should make them wonderful travel companions. I am absolutely drooling to give these headphones a try when they're released later this year. We reviewed the V-Moda Forza and Forza Metallo headphones a few days back, and we loved them. 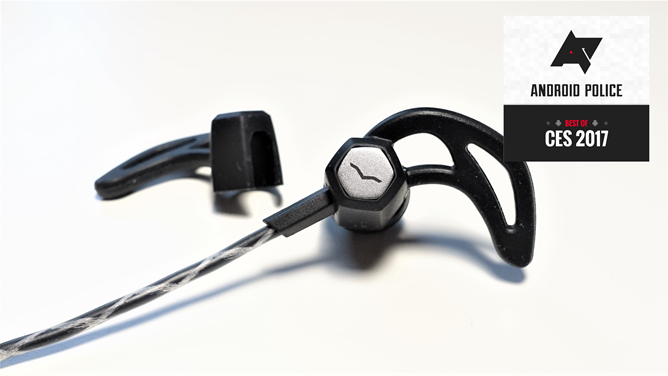 Excellent fit, ruggedness, modular customization, and very good audio show once again that V-Moda is absolutely dedicated to crafting headphones based on the demands of its consumers above all else. They're also not egregiously expensive. We love V-Moda's products, and the Forzas are no exception. 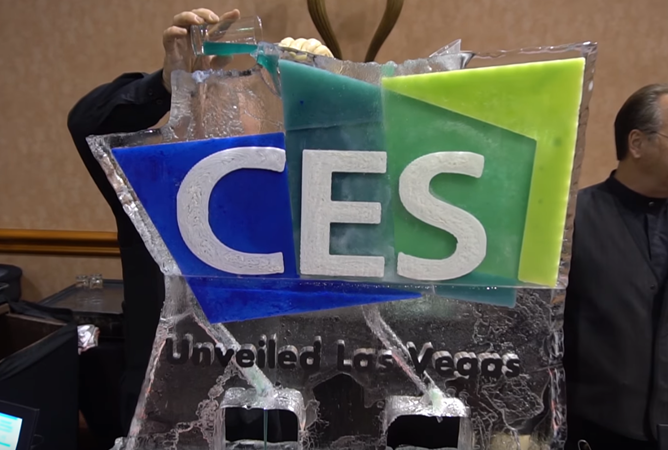 CES was heavy on wearables this year, even offering some new Android Wear devices, but none of them really stood out as much as the latest offerings from Garmin. Garmin has become something of a sensation in the wearables market seemingly overnight, because of their intense and dedicated focus on making good fitness wearables above all else. While you could call the fēnix 5 series "smartwatches," they're more like watch-shaped fitness trackers that offer some smartwatch functionality. They're not cheap, they're not for everybody, but they are undeniably the best product in their segment. 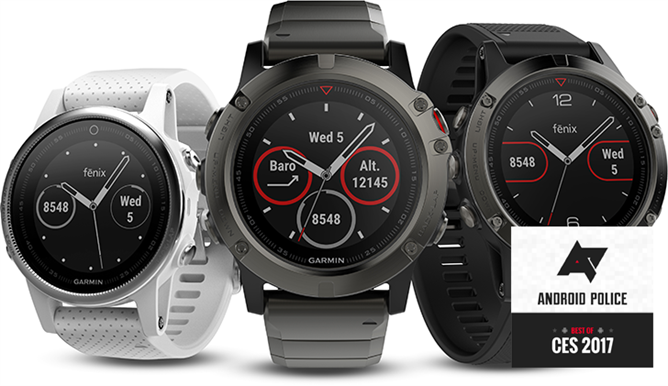 Garmin has a laser focus on satisfying the needs of fitness and outdoor wearable use cases, and instead of worrying about making something that looks as much like a watch as possible or does as many things as possible, they're concerned with the utility of their product first and foremost. That's admirable, and as the rest of the wearable market slows, Garmin continues to win praise and customers.